Idle Hands: The Care Bears Are Back! 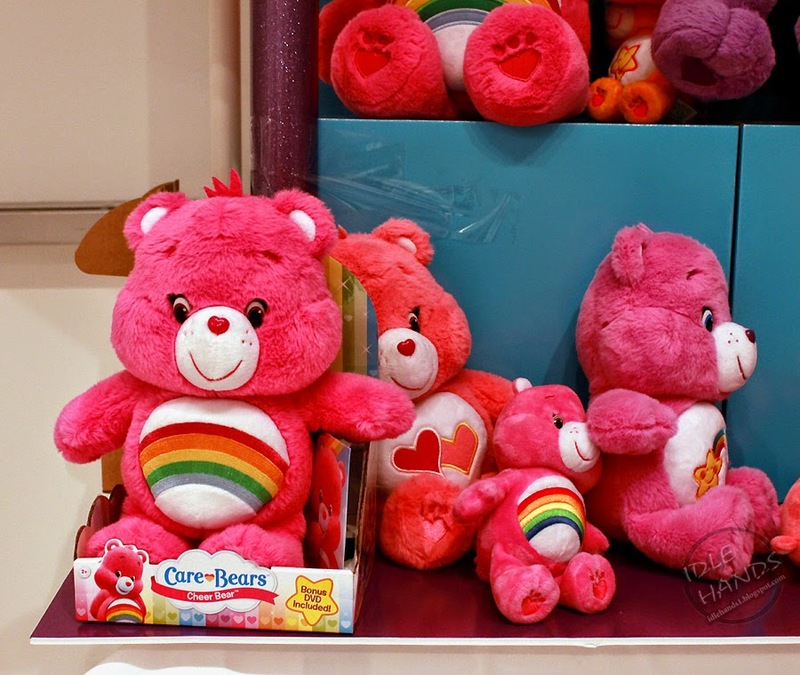 A new partnership between AG Properties (AGP), the intellectual property and outbound licensing division of American Greetings Corporation, and Just Play, a leading children’s toy goods manufacturer, will bring an all-new Care Bears toy line to major retail outlets in fall 2014. The Just Play capture the heart and personality of this endearing evergreen brand that has charmed children for more than 30 years. 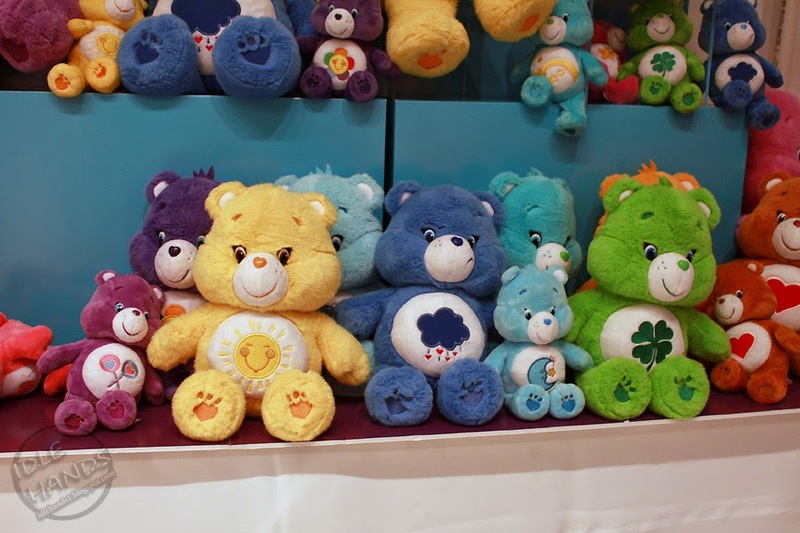 The Just Play toyline will feature ultra-soft snuggly plush and an assortment of Care Bears figures and play sets that will give children the chance to create special connections and enjoy make-believe adventures with their favorite Care Bears characters. Ranging from $2.99 to $24.99 and arriving at US retailers nationwide in September, the line which features everyone's favorite Care Bears -- Cheer Bear, Funshine Bear, Share Bear, Harmony Bear, Tenderheart Bear, and even Grumpy Bear -- offers kids lovable friends to help teach them about emotions, empathy and caring. 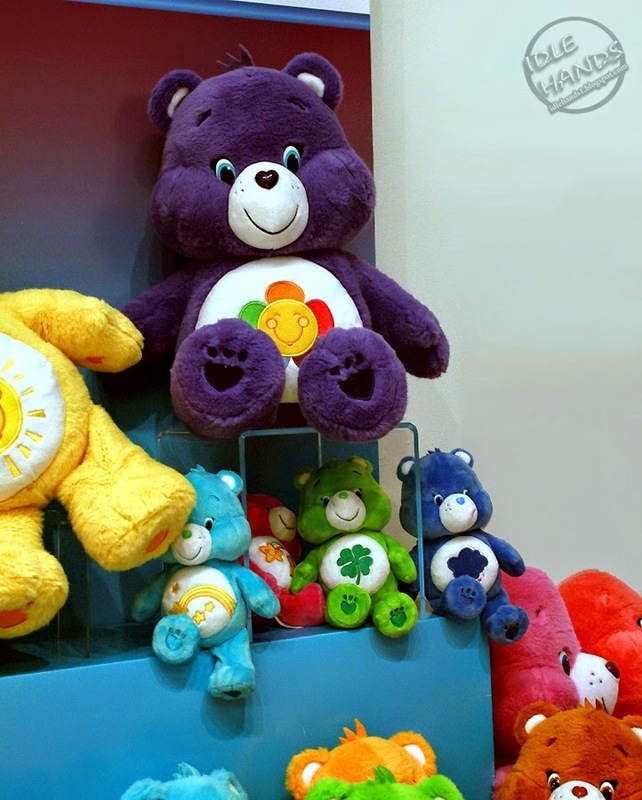 “The Care Bears and their messages of sharing and caring have connected with children worldwide since the 1980s. Our partnership with Just Play gives us the perfect opportunity to make that connection again with another generation of kids who already connect to the Care Bears entertainment, apps and more, and can now befriend this all-new line of huggable Care Bears toys,” said Sean Gorman, President of AG Properties. “We are thrilled to be collaborating with American Greetings and excited to bring the Care Bears back to life with all new plush and figures that capture the look and feel of the CG entertainment,” said Geoffrey Greenberg, Co-President of Just Play. 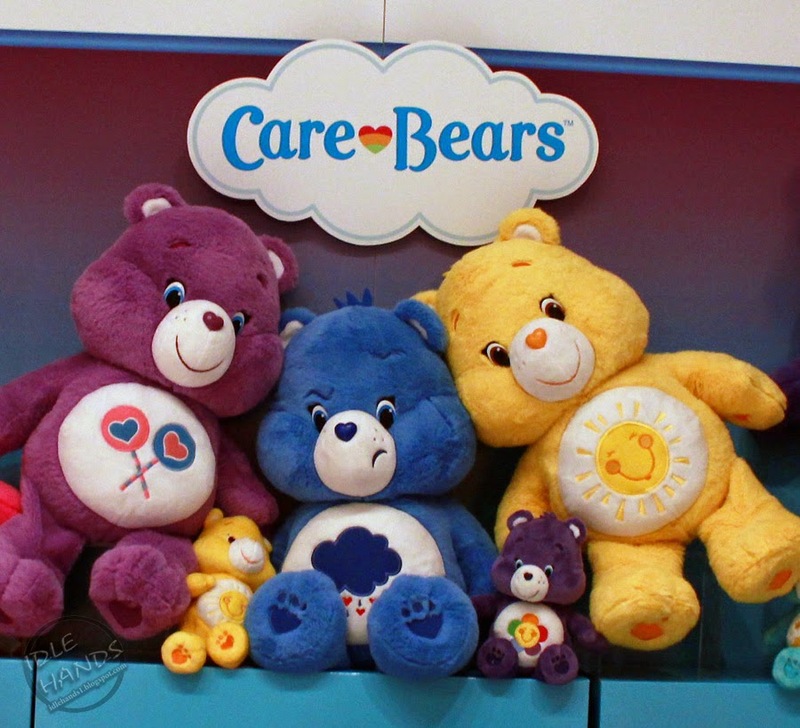 "Using all-new plush materials, we set out to make these Care Bears not only the softest ever, but at least 100% more huggable as well." 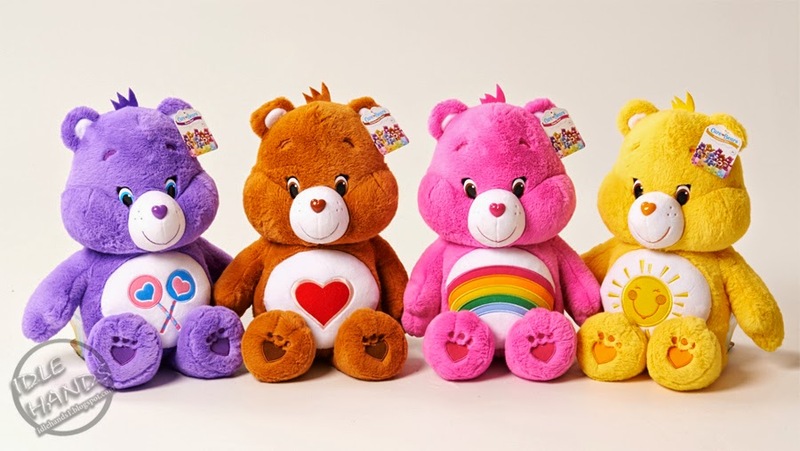 The Just Play toys extend an expansive Care Bears consumer reach which includes DVD’s from Lionsgate, entertainment available on Netflix, apparel from Hybrid/JEM, Halloween costumes from Leg Avenue and pet toys from Fetch! for Pets to name a few. A fast-growing portfolio of digital offerings, brings the brand to life with mobile and tablet apps that offer children a wide variety of storytelling options and reach young fans everywhere they are consuming content. Four iOS apps, Create and Share! (Budge Studio), Love to Learn (American Greetings), Wish Upon A Cloud (Budge Studio) and Care Bears Rainbow Playtime (Tabtale), have proved to have global popularity, with over 5 million donwloads collectively to date. Love To Learn charted #1 in the iPad category in ten countries, and Care Bears Rainbow Playtime charted #2 overall out of over 1 million apps in the iTunes store! AG Properties will be releasing three additional Care Bears apps throughout fall 2014—two self-published apps which includes a holiday Advent Calendar, along with a casual game play app from industry leading app developer Ubisoft. Care Bears is also being featured on new social platforms like Tango, Line and Intel Pocket Avatars. 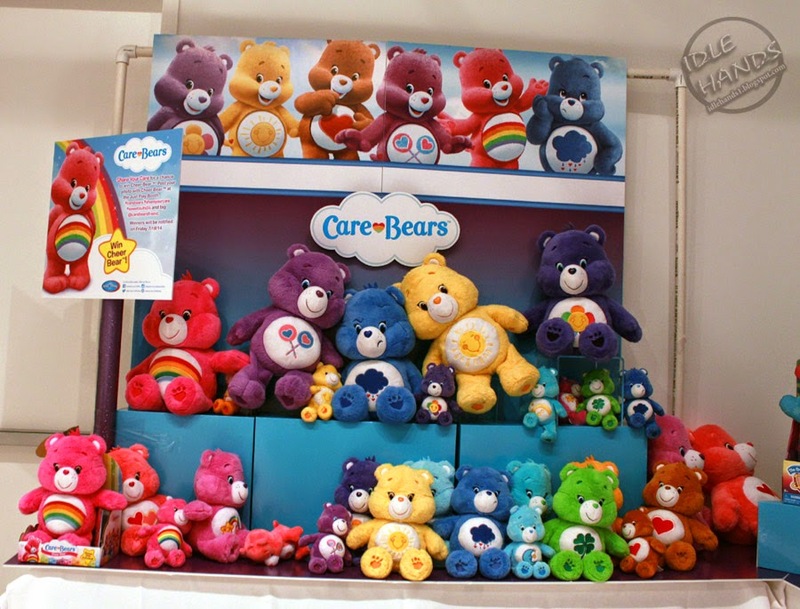 In addition, Care Bears is seeing impressive growth on its Facebook, YouTube, and other social media pages, and will be unveiling a new responsive-design website with multiplatform content later this year. "Live" images shot at the Sweet Suite New York event. Thanks to Just Play for access.